The construction subtheme of City has been a really fun one to collect, because who doesn’t doesn’t love demolition! 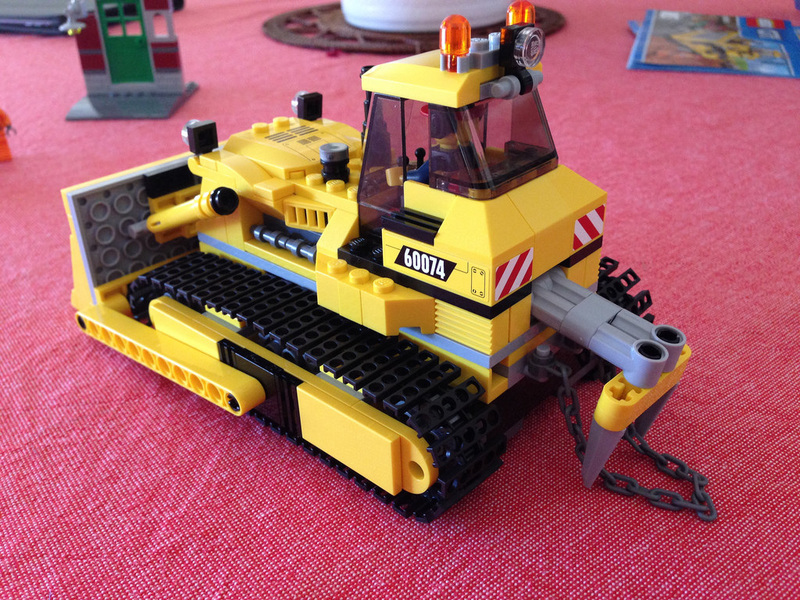 It’s been a while since LEGO has released a bulldozer. 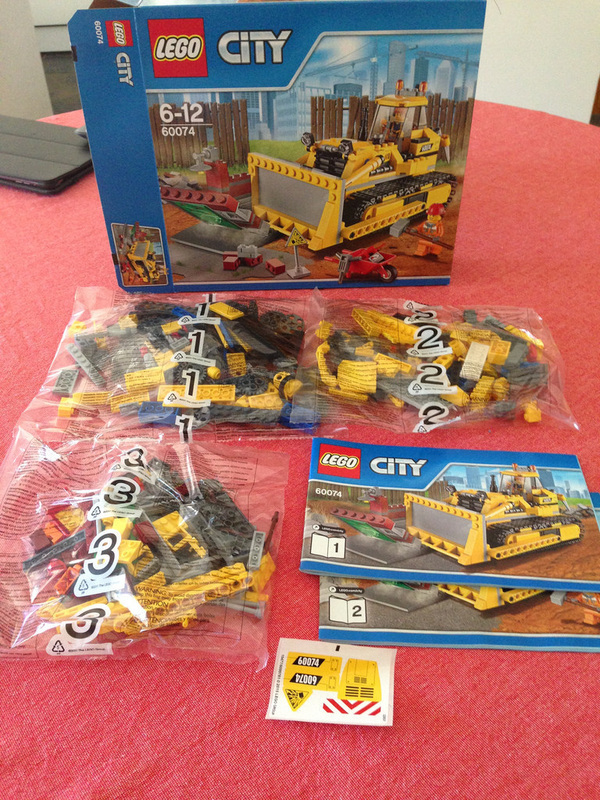 2009 saw the release of 7685: Dozer, a nicely detailed 352 piece model. I quite like the look of the 2009 version, but we’re here talking about the current one, so let’s get stuck into it. Out of the box you’ll find 3 parts bags, 2 instruction booklets and a sticker sheet. This set doesn’t come with any parts unique to or introduced with this set, but there are still some pretty good parts to have. 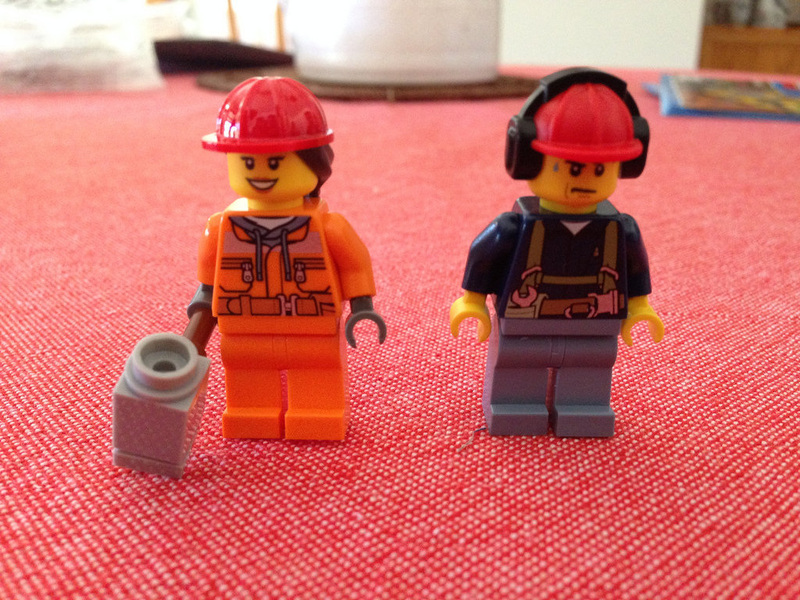 There’s the female minifigure’s hat with attached hair, a length of chain, two dorsal fins (used for the rear spikes), a wheelbarrow and a nice 6×12 plate with studs round the outside. Aside from that, it’s pretty standard. 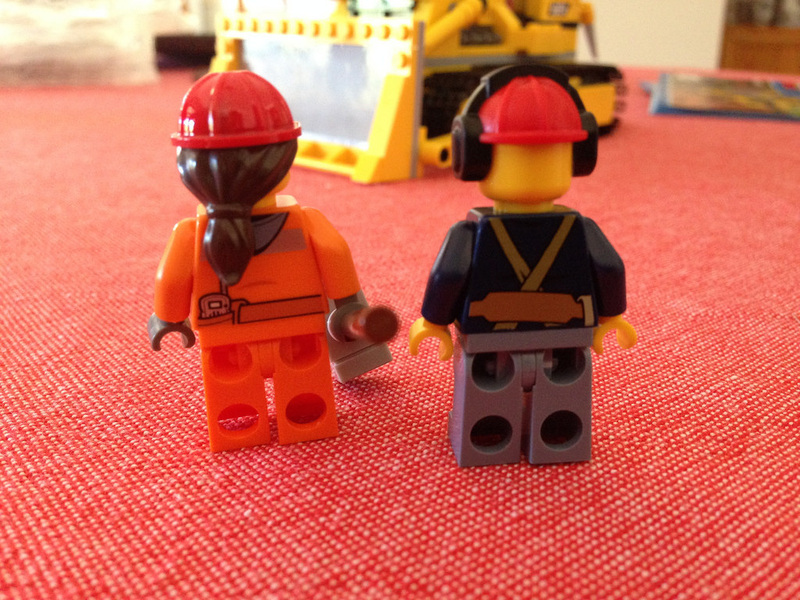 The minifigures are pretty detailed, with the male demolition worker with tool belt on his shirt, some nice back printing and sweat running down his forehead. He looks like he’s working hard! It’s a shame they didn’t print the legs and hips as the tool belt gets cut off. He carries a jackhammer. Our female worker is sporting a bright orange vest and hoodie with radio in her back pocket. I’ve already mentioned her hat and hair, which is a nice addition to the set. The female worker has an oversized sledgehammer which looks a little too big, but quite comical, so it works. 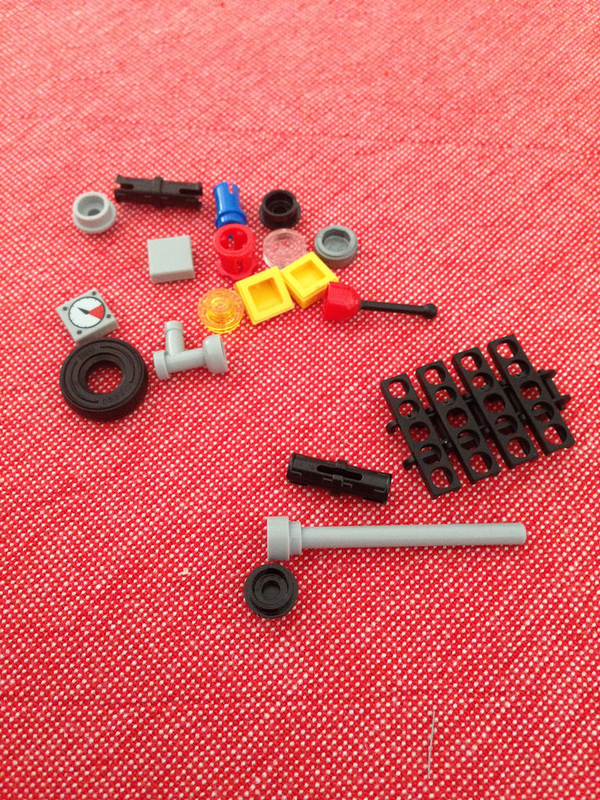 The spares in this set are pretty good. Lots of stanrdard 1×1 tiles, a cheese block, Technic pins, a flag pole, tyre, printed tile, tap, and gear lever. The set tells you to use but 2 of the caterpillar tracks, but I tend to take out 1 in each track as it fits much neater. It’s too loose otherwise. I’m not sure if this is the same with every cat-track build. It certainly was with my other one! The most tedious part of the build is the caterpillar tracks. 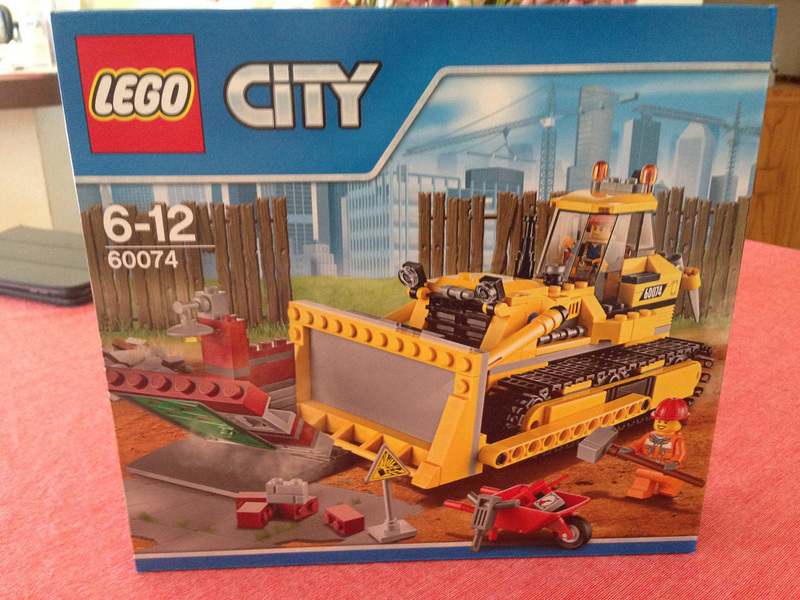 The base of the bulldozer is constructed first, and isn’t all that exciting. There’s some SNOT techniques in there as with many City builds, but the interesting parts come when adding the top of the vehicle. It fleshes out really nicely. The building corner is pretty simple, but is quite good for a partner build. I’m not sure what the point of the spikes and length of chain is at the back – if someone could let me know, I’d appreciate it! 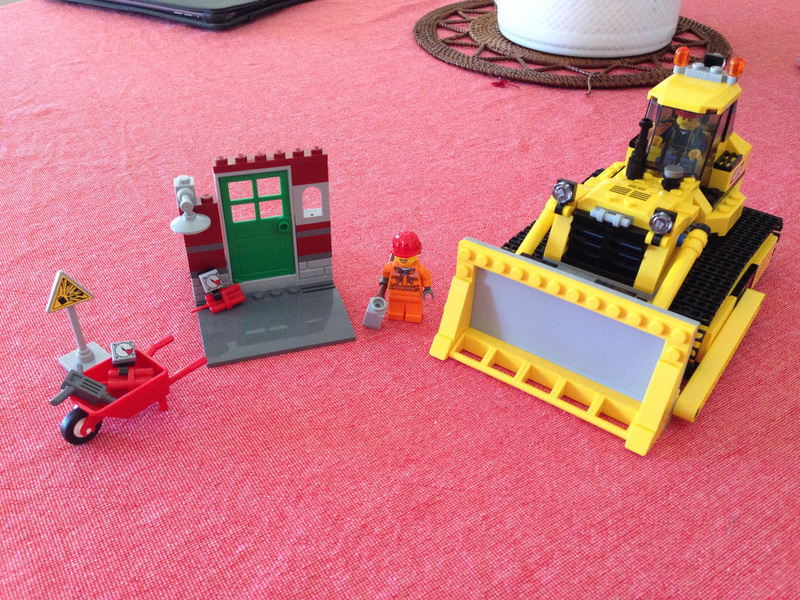 I’d love to get my hands on the other Bulldozer set for comparison. I’ve seen it online second hand, so I might have to invest! Pricewise this set is a little steep in my opinion, but it’s pretty fun. The bulldozer doesn’t move all that well with it’s wheel mechanism, but that might be because I have it a little too tight. I’ll have to add the tracks in to check it. All in all, this gets 7 out of 10 dynamite sticks, as it completes the construction sub-theme quite well. Next on the review list: the now retired 21110: Research Institute! Feel free to leave a comment below. I’d love to know what you think of the set and review!